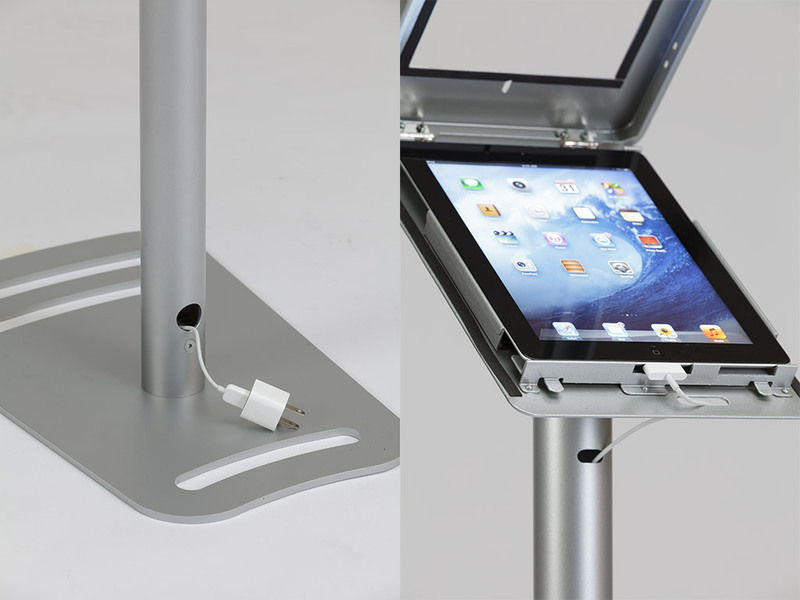 These attractive and durable Apple iPad and Microsoft Surface Stands are designed specifically for tradeshows, events, and retail environments. They are lightweight, secure, and easy-to-assemble. 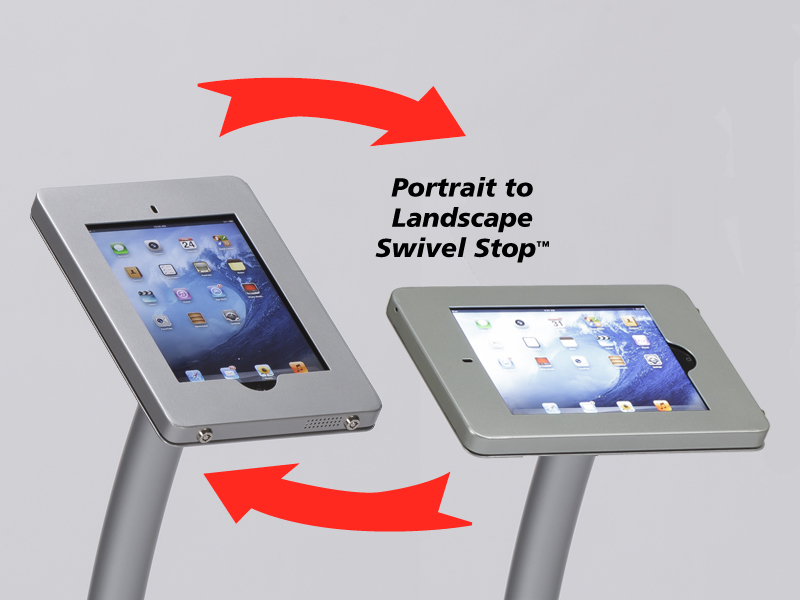 Most feature the innovative Swivel Stop™, allowing the iPad or Surface to rotate between the portrait and landscape position without tools. Graphic options include wings, halos, and face plates. Choose from over 20 designs. 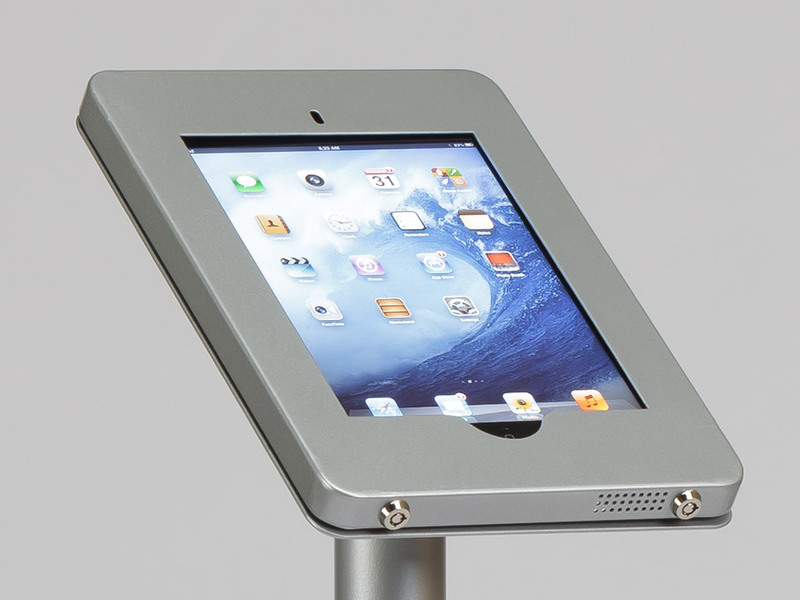 Most include a lockable, hinged clamshell or secure enclosure. Ask about tablet options for Samsung, ASUS, Kindle, and others.